Senior animals are worth fighting (and running) for. Consider running for our reason in the 2019 Pittsburgh Marathon event weekend. We're excited to participate in this unique fundraiser and hope you'll join us. As a contributing charity, Senior Pet and Animal Rescue requires no minimum fundraising donation from you. Any contribution goes directly toward our mission: to use grassroots community efforts to help keep senior animals with their families and rescue, re-home, rehabilitate, and provide hospice for those senior pets looking for a family of their own. Get your running game on, and let's do this...together. Not a runner? That's okay! Contribute to our charity page, and help our organization reach its goal of $7,500 this year. If service is more your style, consider volunteering for SPAAR that weekend, as well. We need five volunteers to help during Saturday's 5K and kid race. Sign up today! "This will be the 2nd year I’m running the half marathon. Last year, I did it as a charity run for Humane Animal Rescue. 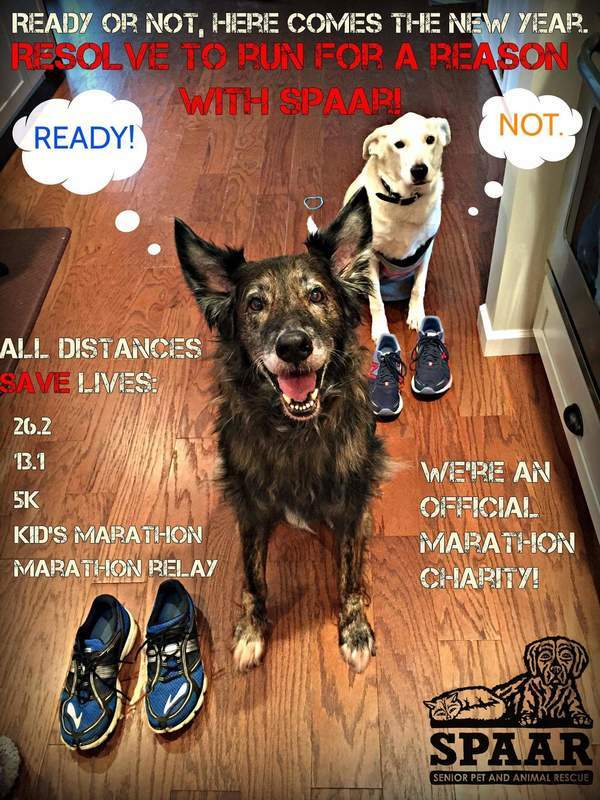 This year, I wanted to run for a smaller rescue as I thought funds raised might have a more immediate impact. I really can’t imagine the time, energy, and resources needed to support a non-profit like yours! My partner and I have two 9-year old cats, Kipper and Mr. B, who we love dearly. While they’ve been in our lives since they were kittens, any future family members will be older cats. ​Senior cats make for wonderful companions. Until we’re able to share our home with another, I’m happy to be able to support an organization like SPAAR."